Manufacturer of a wide range of products which include jute wine bags, soft handle flap wine bag, single bottle wine bags, jute wine bottle bags, soft handle jute wine bag and single bottle jute wine bag. 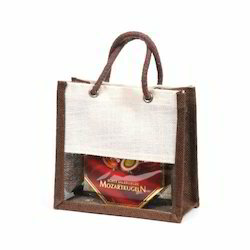 We are one of the widely acclaimed manufacturers, exporters and suppliers of Jute Wine Bags. The offered jute wine bags are highly liked and appreciated by the clients, due to the natural jute fiber and optimal tearing strength. 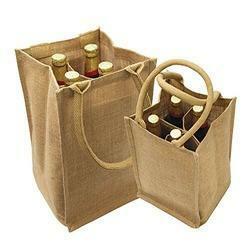 Our supplied jute wine bags are specially designed for carrying wine bottles. 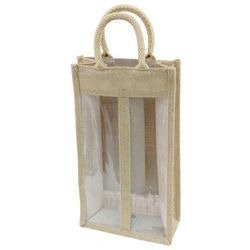 The offered jute wine bags are available at very affordable price. 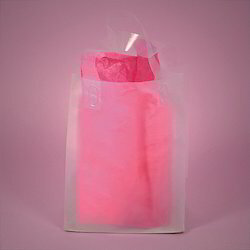 We are one of the leading manufacturers, exporters and suppliers of Soft Handle Flap Wine Bag. The offered soft handle flap wine bag is uniquely designed and stitched for carrying wine bottles. Our supplied soft handle flap wine bag is provided with handles for facilitating, easy grip and hold. The offered soft handle flap wine bag is affordable in price. We feel proud to introduce ourselves as the well-known manufacturers, exporters and suppliers of Single Bottle Wine Bags. 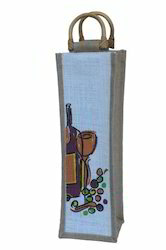 The offered single bottle wine bags are specially designed for carrying a single wine bottle. Our supplied single bottle wine bags are appropriately sized for holding a single wine bottle. 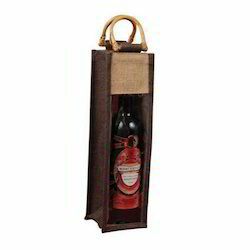 The offered single bottle wine bags are available at very affordable rates. Since the foundation of our organization in 1981, we are engaged in manufacturing and exporting a quality assured range of Jute Wine Bottle Bags. Our skilled and talented man power crafts these bags using finest quality jute, under the observation of our quality controllers. These bags are used to carry and keep the wine bottle safely. Our Wine Bottle Bags is available in different customized specifications and at a reasonable price. We export our range of product to the countries like Europe, Middle East, Us and Uk.